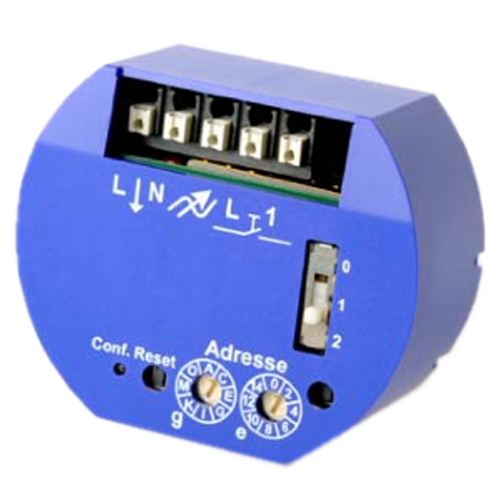 SAMDR LON sensor/dimmer module with one 230V input and a triac-switched output for electrical devices up to 300W. 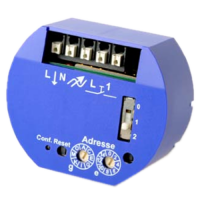 Loads up to 150W are allowed when the actuator is used with universal electronic transformers (leading and trailing edge). Intented for installation in a recessed socket.